Someone seems to really want Quest Software. And his name is probably Michael Dell. An unnamed “strategic bidder” — Reuters is reporting that it’s Dell again — has offered $2.32 billion to acquire Quest. The offer tops a $2.2 billion offer from private equity firms Insight Venture Partners and Vector Capital. That bid topped an earlier $2.15 billion bid from an unnamed “strategic bidder,” widely thought to be Dell. The latest offer values Quest at $27.50 a share, and investors have bid the shares up to $27.65, indicating that they expect a response from Insight and Vector. This all started last month, when Quest first agreed to go private after a bid of $23 a share from Insight. Dell stepped into the mix during a go-shop period meant to entice a superior offer for the benefit of Quest shareholders. The talks were said to have broken off at the start of June. Why all the fuss? Quest is a 25-year-old company that last year reported $857 million in sales and a $44 million net profit. 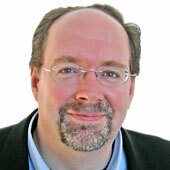 Its specialty is creating management systems for enterprise software. It’s main product, as I understand it, is Toad, which automates a lot of maintenance tasks and is widely sold against Oracle databases. There are other versions of it that work with Sybase and SQL Servers. That would put Quest right in the wheelhouse of the sort of things that Dell is trying to emphasize as it seeks to transform itself into an enterprise hardware, software and services concern, with a smaller strategic emphasis on its older PC business. By at least one metric, that strategy is working — a little. Dell’s consumer PC business, for which it is best known, amounts to about one-fifth of revenue, while its enterprise-oriented businesses amount to about 50 percent. The wrinkle is that the enterprise part is mostly PCs. 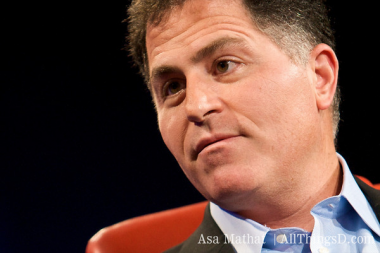 Dell shareholders aren’t happy about the development. Dell shares are down by 27 cents, or more than 2 percent, to $11.93, and that’s within 2 percent of its 52-week low. It’s not as if Dell can’t afford it. It has $13.7 billion in combined cash and short-term investments on the balance sheet. The problem is that Dell has also started paying a dividend amounting to 8 cents a share, which some analysts have worried will put too much demand on the cash reserves it needs to continue buying companies.